You won't find this on YouTube. This is a snuff movie. 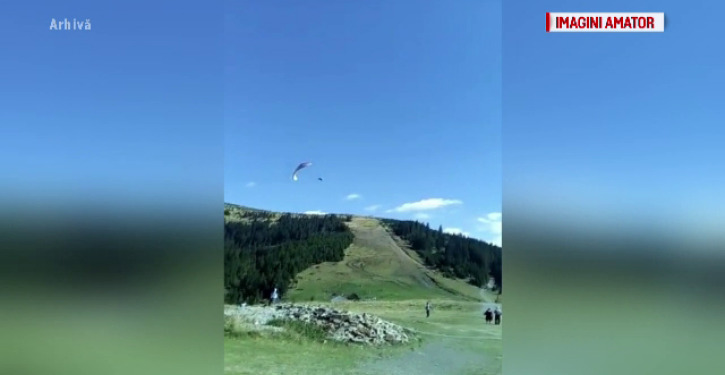 A paragliding accident near the Borşa ski slope in Maramureş was fatal to a man. The moment he struck the earth was captured by the mobile phone of a tourist who was in the area. We warn you that the images have a strong emotional impact. The man who fell with the paraglider is an Australian citizen of Romanian origin, aged 59 years. Immediately after the accident, he entered cardiorespiratory arrest. A Maramureş Ambulance crew tried to resuscitate him for 40 minutes - without result, however. 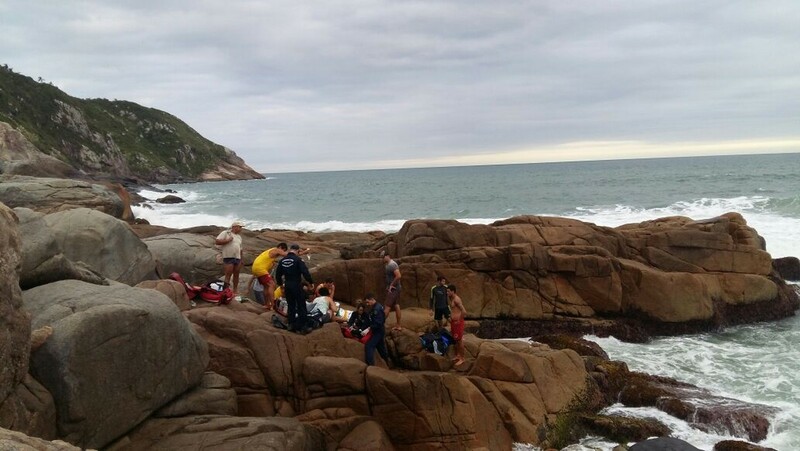 Experienced paragliders say the area where the tragedy occurred is dangerous because of air currents, relief, and sudden temperature changes. The Prosecutor's Office opened an investigation and the case was also investigated by the Civil Aviation Safety Investigation and Analysis Center. Hang gliders don't do this. Get an airframe. Discover real flying and live to fly another day. In this interesting photo are two free-flight enthusiasts. 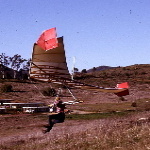 The fellow on the hang glider, Raoul Geiger, is still alive. The soaring parachutist was Jan Sterren. He was the national Cross Country distance record-holder for paragliding of Switzerland. No, he did not die on a paraglider. He died in an avalanche last Sunday. Soaring parachutists tend to get killed by accident more often than hang glider pilots. I even have a picture of one who got run over by a garbage truck. I think it is because they are either not aware of the risks they take or they are willing to take greater risks. Wait! I thought it was always safe to paraglide in the smooth coastal air. Maybe it was one of those "no reason" collapses. 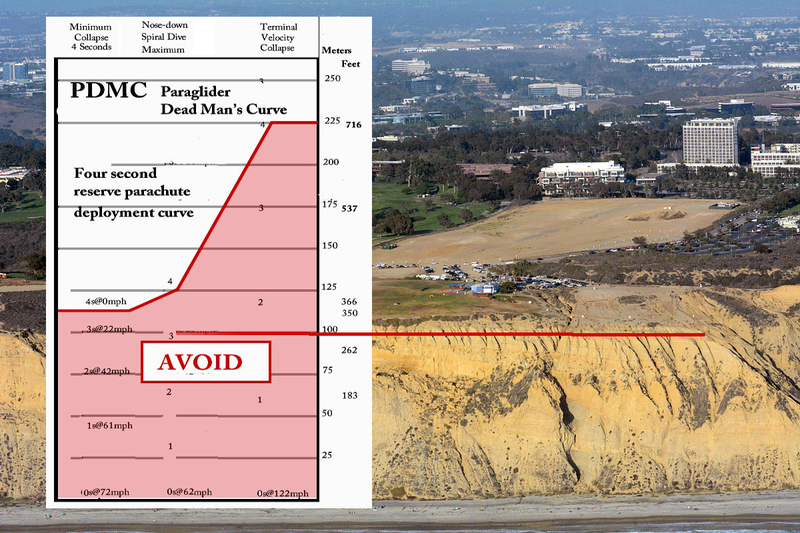 You don't need a thermal collapse to die on a paraglider. It seems that paraglider wingovers are the cause of many, many bordom-induced paraglider crashes. 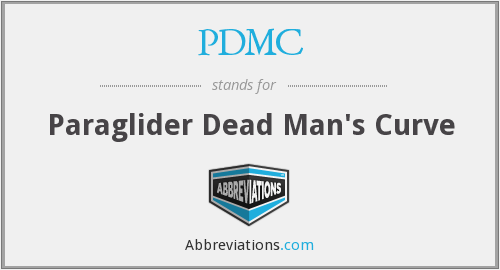 paraglider wingover-induced collapses often don't recover at all, especially because they are usually done within the PDMC. So even laminar air is no help to idiots. Someday people will notice the survivors had airframes. We hang glider pilots will get to watch a lot more soaring parachutists die. A lot more. Thousands, probably. That's the way its been. That's the way its going to be. I'm sure of it. I can't change it. It's like they are aliens. They don't read. They don't listen. They only talk to each other. They attack criticism. They disdain advice. They'll never figure it out. I guess the PDMC is too simple a concept for idiots to understand. 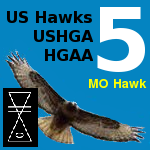 that is a common challenge for all of us and it certainly takes more skill to do it right on a hang glider. Thanks for that serious reply post, Rick, but my post was pure sarcasm. Wait! How can you possibly apply humor to such a serious subject?